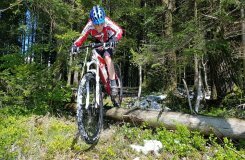 GROUP MOUNTAIN BIKE RIDE EVERY SATURDAY! Road ride if trails are deemed too wet. When: Meet up 7:45am, wheels rolling at 8:0? AND NO LATER (usually). Pace: Intermediate. Ride will feature advanced terrain and some extended climbs, but we’ll keep the group together. 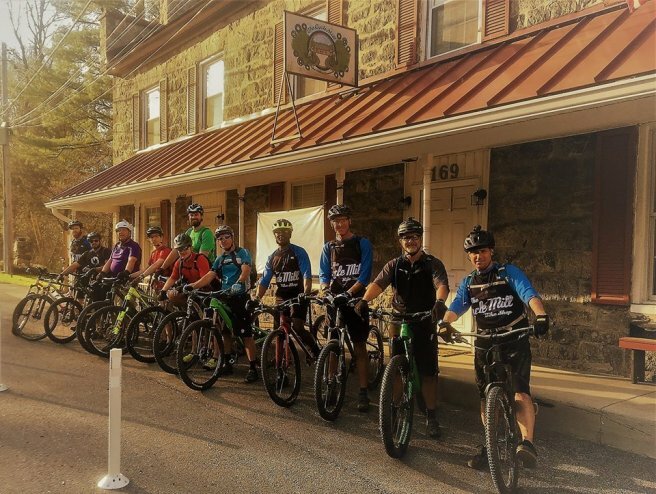 What: Mountain Bike ride showcasing the trails that are literally out our back door into Patapsco Valley State Park. Count on people who love to ride to help you get riding and keep your riding, regardless of your current fitness level. Increase your knowledge in a class or individual program. Have a wealth of cycling knowledge available to you from our experienced mechanics. From high quality repairs to finding the perfect bike for your needs, you can count on us. Find out how to enhance your ride. Visit us anytime to enjoy our laid back atmosphere and stay hydrated with some coffee, tea, water, or beer after a workout or ride. Saturday mornings group rides will be posted on our Facebook page (weather dependent). Rides leave 8am. Tuesday evening Road Ride takes place at 6:15 - casual ride with some climbing; 15+mph and no drop. "See you at The Mill."